Now according to our sources, the much awaited trailer of this Ali Abbas Zafar directorial is all set to release in the first week of April after Notebook releases (29th March, 2019). Well, there’s only a week left and we really can’t keep our calm. Suddenly April feels so far away, isn’t it? Well we are sure, Salman Khan and his team will surprise us with this one. Considering the stellar cast of Tabu, Disha Patani, Sunil Grover and Jackie Shroff coming together, dhamaka toh hoga boss! Apart from these stars, the film also stars Varun Dhawan and Nora Fatehi in a special appearance. Apart from Bharat, Salman will soon start shooting for Prabhudheva’s Dabangg 3 which will hit the theatres on Christmas 2019. Post that, he will start shooting for Sanjay Leela Bhansali’s Inshallah from September which also stars Alia Bhatt in the pivotal role. The film will release on Eid 2020. 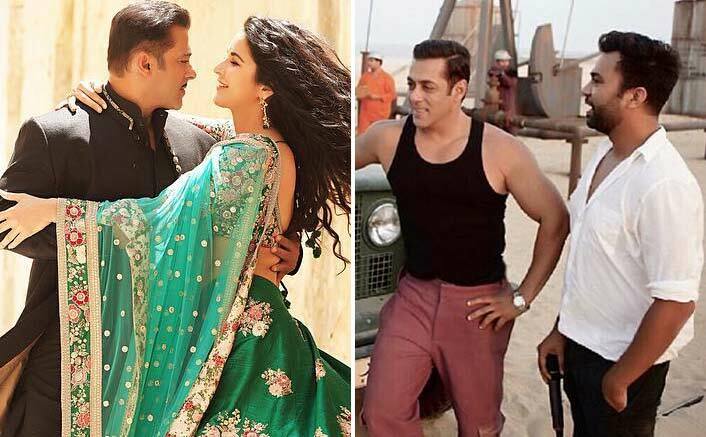 The post Salman Khan’s Bharat Trailer EXCLUSIVE: It’s In The First ‘Half’ Of April, But Early! appeared first on Koimoi. Previous ArticleKesari Box Office Day 3 Morning Occupancy: Starts Saturday With A Surprising Trend! Next Article Salman Khan Isn’t Just The Box Office KING, He Makes The Best Uncle Too & Here’s The Proof!